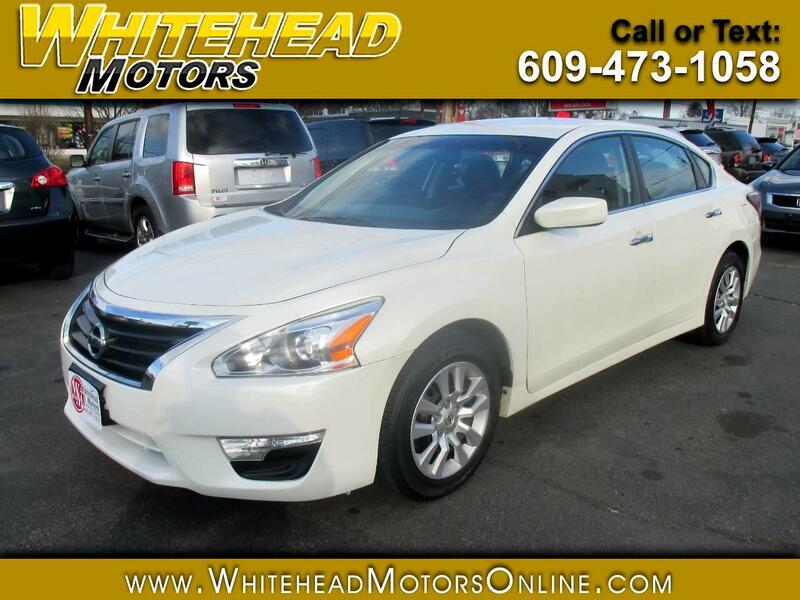 Our Accident Free 2014 Nissan Altima 2.5 S Sedan looks excellent in Pearl White! Powered by an efficient 2.5 Liter 4 Cylinder providing 182hp while mated to Nissan's ingenious CVT which helps secure easy passing maneuvers. To match the grin-inducing acceleration, our Front Wheel Drive Altima features a 370Z-inspired multi-link rear suspension to provide instant responses and maximum tire contact to ensure your daily commute is anything but ordinary while managing near 38mpg. You may see this Altima 2.5 S features styling cues of its big brother, the Maxima. Spoil yourself inside our S Sedan with features like the Advanced Drive-Assist Display, zero-gravity cloth front seats, push-button ignition, a stellar audio system with Bluetooth capability, a power driver seat, and full power accessories. You are also rewarded with Nissan Intelligent Key, speed-sensitive windshield wipers and smart auto headlights. One of the most significant features of the Nissan Altima is the ability to keep you and your occupants out of harm's way with a multitude of airbags as well as Vehicle Dynamic Control and a Tire-Pressure Monitoring System featuring Easy-Fill Tire Alert. You no longer have to choose between excellent fuel economy, responsive handling or a spacious well-built cabin. You get it all with this Nissan Altima! Print this page and call us Now... We Know You Will Enjoy Your Test Drive Towards Ownership! Get Approved In Minutes at Whitehead Motors. We Make Car Buying Easy. Visit Whitehead Motors online at whiteheadmotorsonline.com to see more pictures of this vehicle or call us at 609-473-1058 today to schedule your test drive.